Everyone's invited to our Metrojaya/Reject Shop Warehouse Sale happening from 24th to 31st March 2017 from 10am to 8pm! Price starts at RM9 with whopping discounts on women, men and kids apparel including East India Company, Somerset Bay and Cape Cod brands and not forgetting our home essentials and accessories! 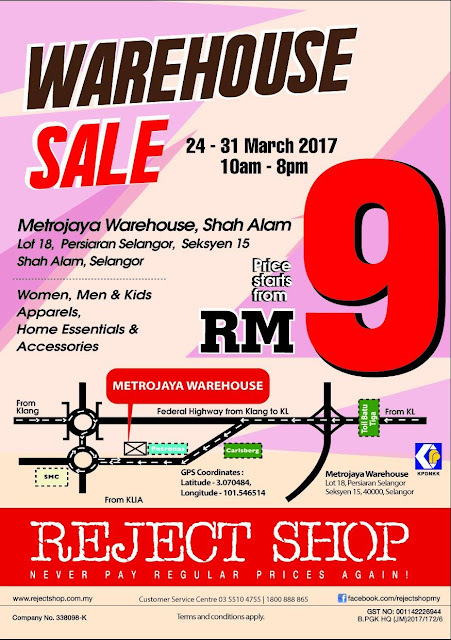 The place to be is Metrojaya Warehouse at Shah Alam! See you there!